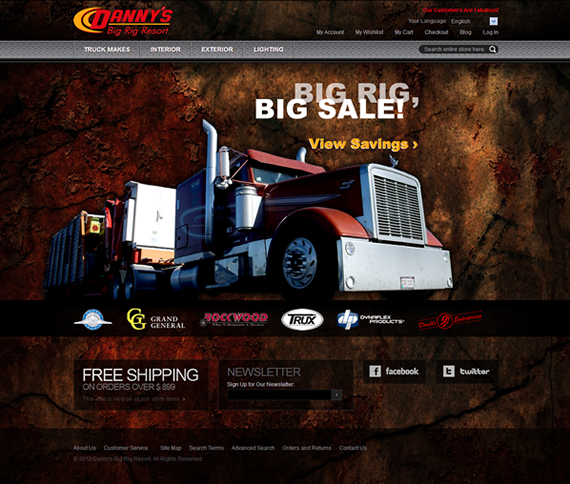 Danny’s Big Rig Truck Wash and Resort contracted Sun Swing Media to help with the design work on their web e-commerce shop: Chrome Oasis. The site was based off of a pre-built Magento template. Our job was to take the template design and give it a look and feel that would appeal to the target market: big rig truck drivers.